London would be first Amazon Go location outside the US. Amazon has picked a site in central London for its first cashierless grocery store outside of the US, according to reports. Industry sources told RThe The Sunday Telegraph that Amazon’s US team were planning on launching the new Amazon Go store near Oxford Circus, Europe’s busiest shopping district. 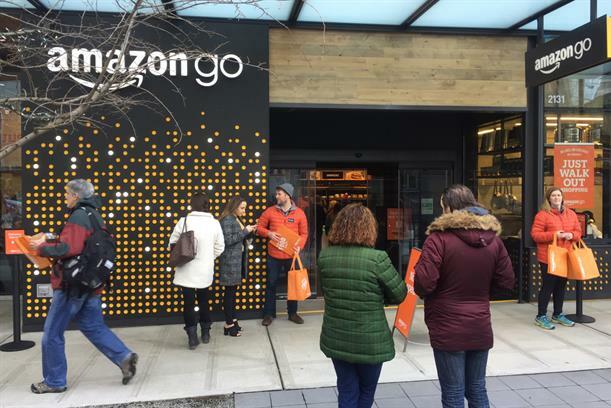 Amazon Go first opened in Seattle in January and uses cameras to track what products customers take from the shelves. Customers must be Amazon online customers and have their smartphones scanned when entering the stores. The company has since opened Amazon Go stores in Chicago and San Francisco. Amazon is aiming to have around 3,000 stores by 2021, Bloomberg reported in September, as it breaks into bricks-and-mortar retail. As part of this push, it acquired Whole Foods Market last year, including a small batch of stores in the UK. In September, Amazon also launched Amazon 4-Star, a shop in which all items are rated four stars and above on Amazon.com, in New York. Tesco is also trialling cash-free stores at its head office in Welwyn Garden City and has reported customer transaction times being halved. Campaign has contacted Amazon for comment.